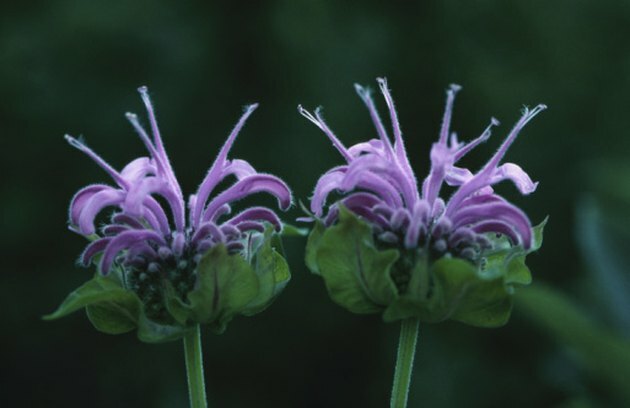 Bee balm, (Monarda didyma) also know commonly as Oswego tea, monarda, bergamot, or horsemint is an all-purpose flowering perennial that grows almost anywhere with little to no care. In fact, monarda is so eager to become established that it out competes many other plants. There are, however, many species that can partner well with bee balm and provide a frenzy of garden blooms throughout most of the summer into fall. A good companion for bee balm is summer phlox (Phlox paniculata). Sharing the colors and hues of bee balm it provides a sturdy mostly care-free floral display that compares favorably with monarda. While both are prone to mildew, they benefit from similar prevention strategies such as reduced summer fertilization. Both species like the same garden condition of full sun, regular water, but no overhead irrigation. The two species grow to about the same height and can be used as specimens as well as planted in massings and drifts. Because bee balm tolerates a wide range of garden conditions and is aggressive enough to hold its own against all comers, planting it with Joe Pye weed (Eupatorium maculatum) makes for a great combination. Bee balm can readily partner with the much taller Joe Pye weed and both are butterfly magnets in the hot summer sun. Both are appropriate choices for rain gardens as they grow well in moist soils and can tolerate occasional wet "feet." Moreover as an added bonus, neither species suffers from any major insect problem. The yellow summer flowers of the black-eyed Susans (Rudbeckia hirta) offer a striking contrast to the similar-sized pink-to-red and purple bee-balm. The daisylike flowers of the rudbeckias are contrasted with the clustered flowers of the monarda providing interest beyond color in the summer garden. The spreading nature of both plants in some situations can lead to a healthy competition of over-eager contenders for the title of garden bully as both species are somewhat invasive and vie for attention and space. If the summer garden plan calls for soft pastels and look for a daisy shape to complement the bee balm then purple cone flowers (Echinacea purpurea) are just the thing. Though the common name includes "purple," cone flowers come in a dizzying wide array of colors from white through tangerines to deep purples. Through the years cone flowers may need some help fending off the vigorous growth of the bee balms. John Peter's first article outside of numerous trade magazines was in a 2006 "American Law Institute | American Bar Association" course of study. Peter is a 4th generation nurseryman working in the industry from 1988 until 2008. He has written a book on national invasive species certification policy. Peter studied music composition and theory at the University of Maryland.